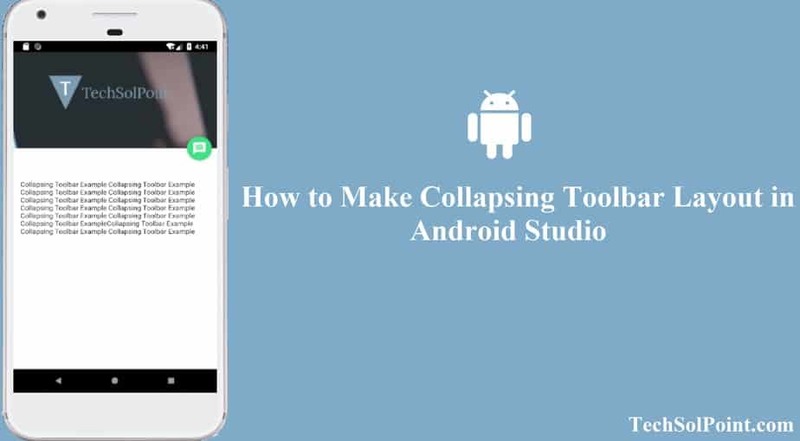 The Collapsing Toolbar Layout is provided for help in building toolbars with additional features and awesome scrolling effects. 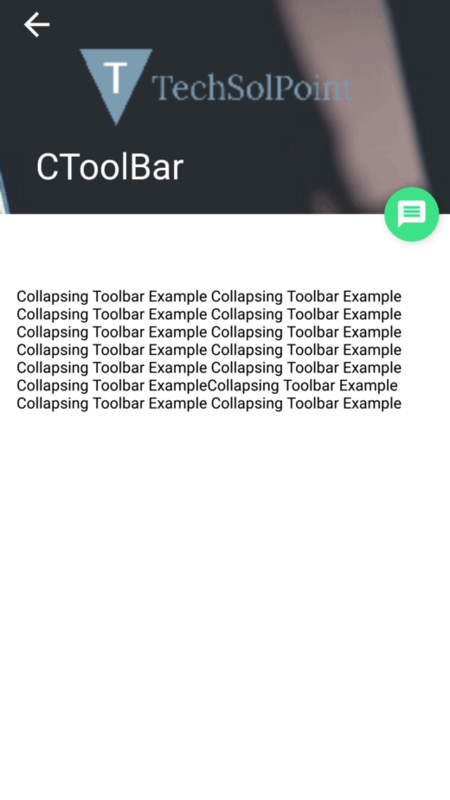 This is a wrapper for the toolbar which implements a collapsing app bar. CoordinatorLayout play a very important role in proper scrolling and material animations. So we need to add CoordinatorLayout in the top of XML layout, then add Toolbar inside AppBarLayout and the AppBarLayout needs to be inside the CoordinatorLayout. AppBarLayout: AppBarLayout is a vertical LinearLayout which is the child of a CoordinatorLayout and it helps in the implementation of many features of material designs app bar concept. This allows your child’s views to get the desired scrolling behavior by using the param app:layout_scrollFlags. CoordinatorLayout: This is a super-powered FrameLayout. If you are familiar with FremeLayout then this will be very easy for you to use CoordinatorLayout otherwise this is very simple. It provides additional level control over its child’s views and helps in implementation of scrolling effect. CoordinatorLayout coordinates the animations and transitions of the view within it. To design Collapsing Toolbar Layout you have to add design support library in your project Gradle build file. This library helps in achieving many of the material design components to build an amazing layout. Add the given below library in dependency of “build.gradle (Module: app )”. Before Implementing the following code first create a new project in Android Studio, go to File => then go to New => then select New Project option. In Add an activity option select default activity(Blank Activity) and proceed.